If you've paid attention to this blog for any length of time, you know I have an unabashed love for red. 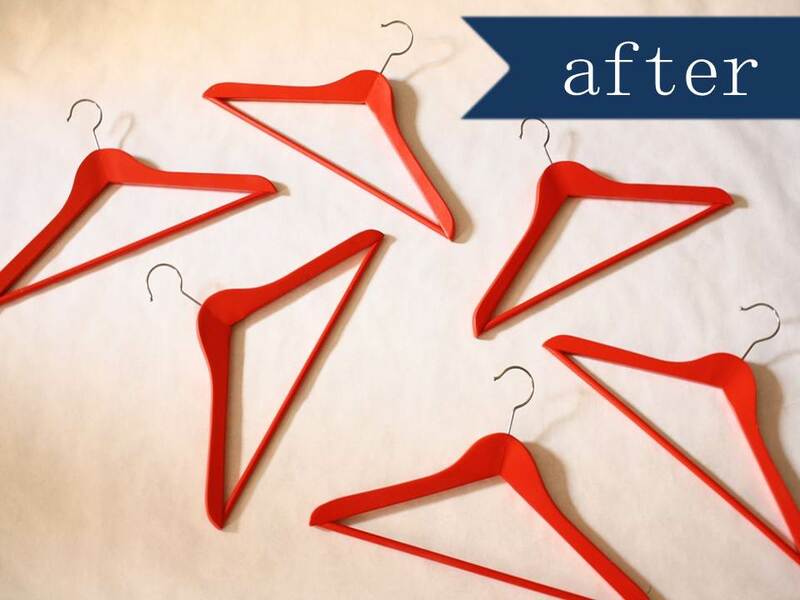 Why not carry that love for red to the coat hangers in my coat closet? Who says the hangers in our home can't be both beautiful and delicious-looking? I chose Montana Gold spray paint in "Blood Orange" for a vibrant coating reminiscent of M&Ms, and the truth is: I'm thinking I'll never again settle for coat hangers without a candy-colored shell. 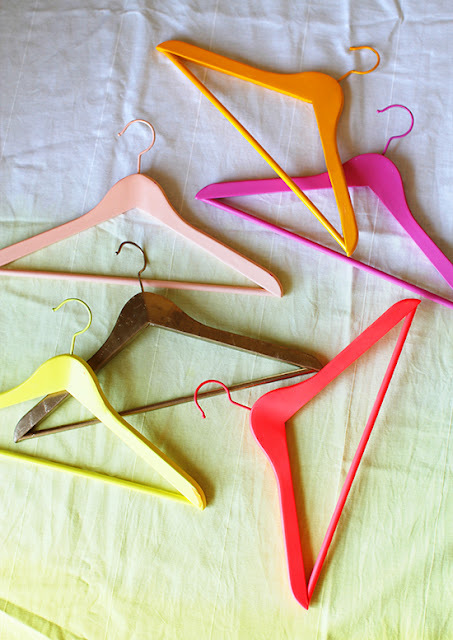 What color should I lacquer the hangers in my closet? And in Adam's? Love this, Ashley! 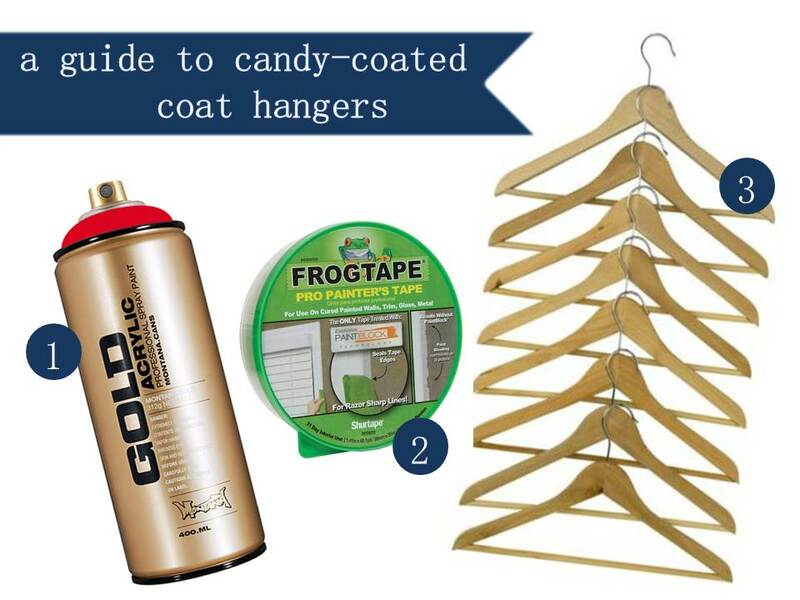 And red hangers are so YOU! I think looking in my closet would be a much more pleasant experience if I had something pretty holding our clothes/jackets. Just another DIY to add to my list! So cute! Maybe I need some hot pink ones. Cute! Also I love your collage of needed suplies. What program do you use to make that sort of thing? Hi Filiz--I just used Powerpoint! Nothin' fancy at all! Oh really? Awesome. Enjoy your trip!! SO cute! Why doesn't everyone do this?! It makes the closet look so chic!